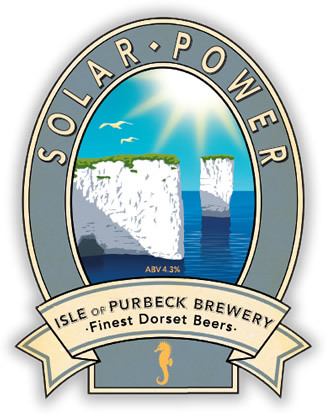 Isle of Purbeck’s Solar Power | DorsetBreweries.com - A Guide to Dorset Breweries and Dorset Beers! A premium lager style beer, golden in colour with a distinctive ‘noble’ hop aroma from the Bavarian Hallertau late hop edition. The palate is a soft balance of malt, caramel & wheat malt providing a clean & refreshing finish.